A new and improved version of The Neighborhood is returning in NBA 2k19. The Neighborhood is a game mode that includes MyCareer, PARK, Pro-Am, and more. In many ways, it exemplifies what makes 2K special. It’s not just a basketball simulator; it’s a simulator of basketball culture. A new trailer shows exactly how it accomplishes this. Squaring up at the Jordan Rec center, entering the Under Armor cages, playing on trampoline filled courts, doing 3-on-3 matches with the crew, and customizing your character are just a few things players can expect to enjoy in NBA 2k19‘s The Neighborhood. You can also get daily rewards by spinning the prize wheel and playing in community events, so there’s always a reason to keep coming back. Streetball, and all that surrounds it, is here to stay. This game mode serves as a reminder of the personality NBA 2K brings to the table. 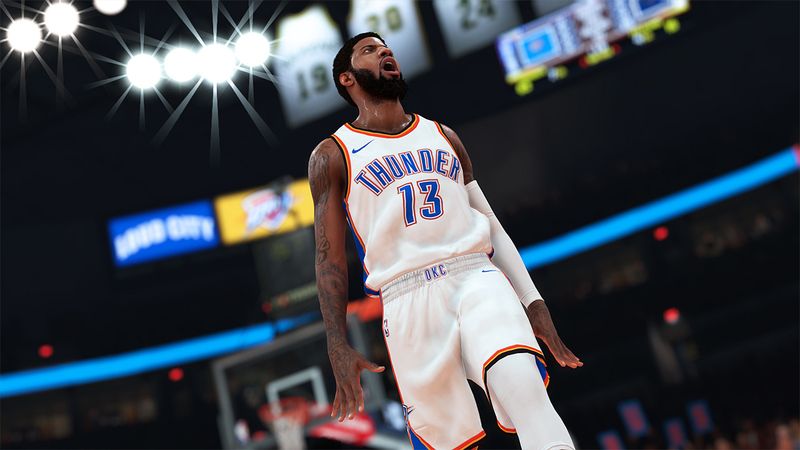 This is becoming increasingly important, as NBA Live 19 continues to flaunt its own individuality. NBA 2K19 releases for the PlayStation 4, the Xbox One, the Nintendo Switch, and PC on September 11, 2018. Purchasing the 20th Anniversary Edition grants players four days of early access. Were you a fan of The Neighborhood? What improvements are you hoping to see made?